Throughout human history we have been fascinated by the flickering lights of the aurora in the night sky. Descriptions of this colourful phenomena appear in the legends and folktales of many cultures. In some traditions, the lights are seen as a benevolent communication from the ancestral spirits. In others, the aurora are a danger to be avoided. The subject of much scientific research (and a source of tourist revenue for several northern communities) the aurora continue to invoke curiosity and delight. The aurora can be directly linked to curriculum areas such as Science, Social Studies and Literature and would make a great “high interest” topic for a classroom study or research project. The following background information and list of resources might be helpful when planning a unit of study. The aurora are a display of lights found in the high latitudes of the northern and southern hemispheres. We call the aurora in the north the northern lights (aurora borealis). In the south the aurora are called the southern lights (aurora australis). The aurora are caused by electrically charged particles (electrons and protons) carried by the solar winds. Most of them are deflected by the shielding effect of Earth’s magnetic field but some do enter Earth’s atmosphere. They mix in with the oxygen and nitrogen ions, which energizes them and causes them to glow (oxygen = green and red; nitrogen = blue and purple). This happens approximately 100 kilometres above Earth’s surface. When Is The Best Time To See The Aurora Borealis? The Northern Lights can be seen at any time of the year, but the best time to look for them is during March and April, and then later in the year during September and October. Where Is The Best Location To View The Aurora Borealis? 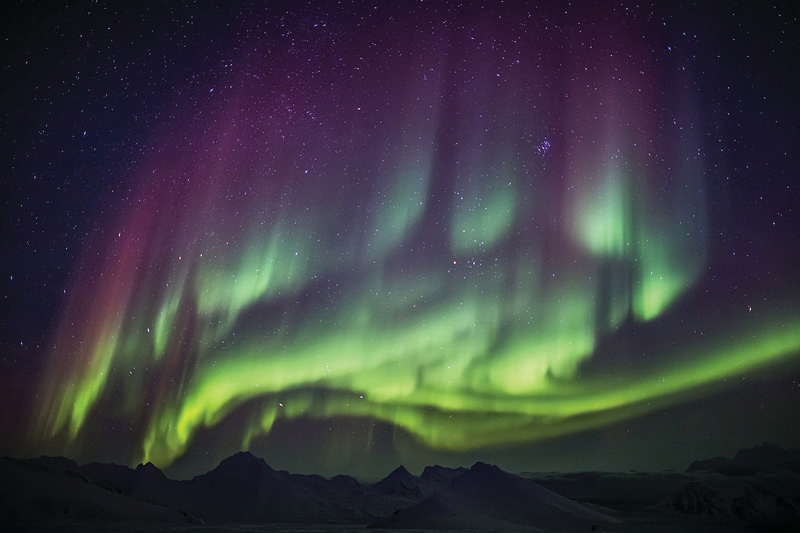 The Northern Lights are clearly visible in the far north (Canada, Alaska, Greenland, Russia and Scandinavia) but they are occasionally seen in southern regions as well. This extensive website offers resources for educators, tips for watching the aurora, a daily aurora forecast and a live webcam from Yellowknife. Located in Vancouver, this is a non-profit community resource that provides a variety of exhibits, activities, educator information and programming (including Sky Stories: A First Nation’s Journey). 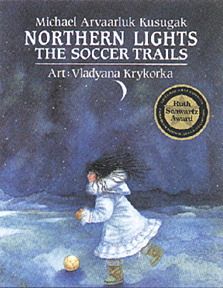 Northern Lights/The Soccer Trails, by the the well known Inuit author and storyteller Michael Kusugak, weaves a story around a traditional Inuit legend of the northern lights. When a young girl named Kataujaq loses her mother to tuberculosis she is comforted by her grandmother. Her grandmother explains that the souls of the dead like to play soccer (a popular game with the Inuit peoples). They run around all over the night sky chasing the ball (the frozen head of a walrus). From earth they look like flickering lights. Kataujaq feels less lonely when she watches these lights and knows that her mother is still close by. School Visits: Michael is available for school visits and can be reached at michaelkusugak.com. Jan Waboose is a Nishnawbe Ojibway author from northern Ontario. 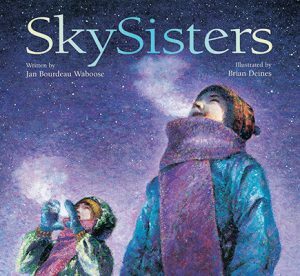 Sky Sisters is a story based on some of Jan’s childhood experiences with her older sister. After a long, cold, midnight walk through the snow, and a patient wait at the top of Coyote hill, the two sisters witness the arrival of the Sky Spirits (northern lights). Inhabit Media is an Inuit owned publishing company in Nunavut with the goal of making traditional Inuit knowledge accessible to readers in both northern and southern Canada. 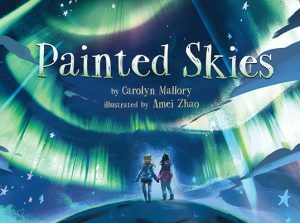 Painted Skies is a story that introduces younger readers to an Inuit legend about the northern lights. The book ends with an explanation of the science behind the phenomena. Look Up At The Sky! 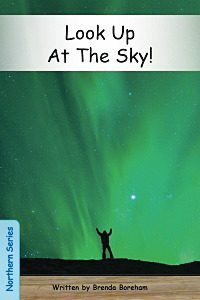 With the use of a single sentence frame, controlled vocabulary and the support of some amazing photographs, Look Up At The Sky! 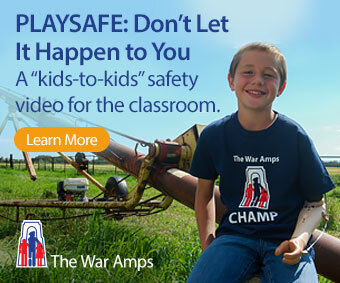 is accessible to beginning readers. The book introduces the variety of colours to be found in the northern lights and ends with an illustrated glossary of colour words. 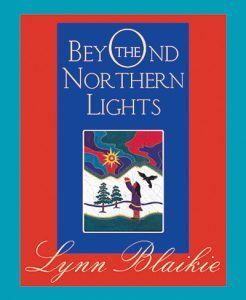 The simple, lyrical text in combination with the strongly coloured batik illustrations make Beyond the Northern Lights a book to treasure. The story follows a young girl who calls on the raven to fly her away to magical places beyond the northern lights. Ca$h in a Chemistry or Civics Class?